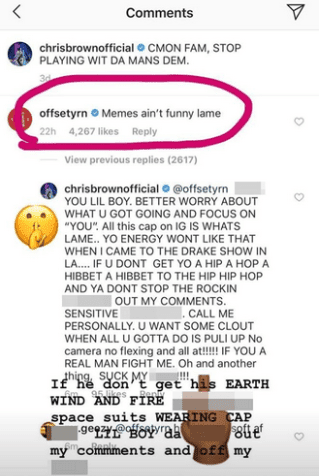 Chris Brown wants Offset to prove he’s a real man by fighting him after the Migos member left a comment of disapproval on his Instagram. Chris had shared one of the viral memes of rapper 21 Savage who is facing deportation for overstaying his visa after arriving the US from the UK in 2005. 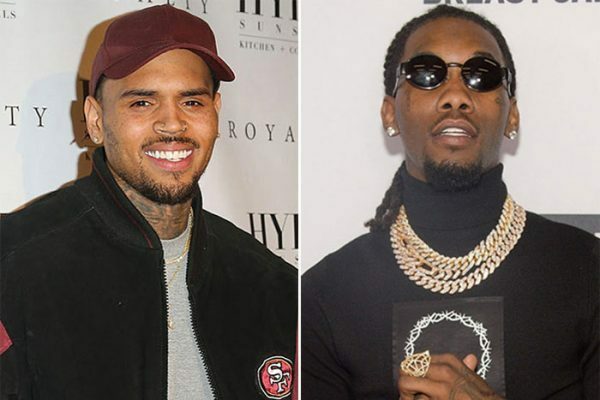 “CMON FAM, STOP PLAYING WIT DA MANS DEM,” Chris Brown had captioned the Instagram post, which some people said meant he was telling fans to stop making fun of him.